Last month we attending a secret viewing of a new products launch from Stylfile. Inventor, Tom Pellereau, became winner of The Apprentice 2011, he was crowned and now works alongside Lord Sugar. 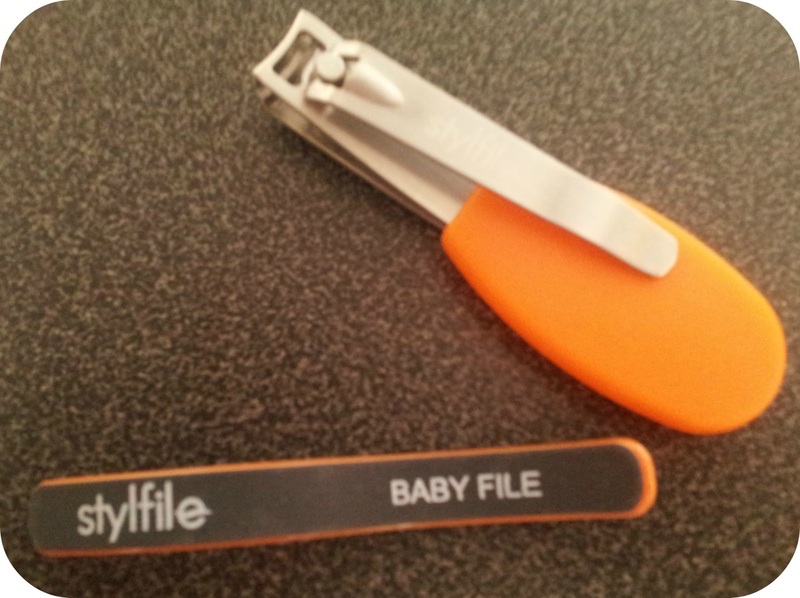 Stylfile currently creates a range of nail care products for adults, and is now going into baby care too. The new product was one set to change the way in which babies nails are cut - for the better. Cutting your babies nails is possibly one of the hardest tasks as a parent. In my experience, Jack has either been to wriggly, the clippers or scissors haven't done a good cut or on the odd occasion we have managed one or two nails before he is bored. If I'm honest, I've actually just given up on cutting his nails in the hope they will beak naturally. That was until we went to the viewing of Nipper Clipper. The Nipper Clipper is specifically aimed at parent's of under 4's however I'm sure it could be used with older children. The Nipper Clipper has a range of built in features which are aimed to help parent's with the task of nail cutting. The first is a spy-window which allows you to see the nail once placed inside the clipper. This window allows the user to see exactly where they are cutting, and also to see they get no skin within the blade. Next, there is an overlapping blade which is shaped, this allows for the nail to be clipped and the nail to be still there instead of flying off. It is also silent, so your baby is not distracted by the noise of the sharp edges meeting as on usual clippers. Included within the pack is a mini Stylfile, this is a curved shape file which allows you to file away rough edges within the natural nail shape. Alongside the physical aspects of the Nipper Clipper and mini Stylfile, there is also an App which is free alongside. This features 'Timmy Tickle,' who is a fun playful octopus to keep your child entertained. As the Nipper Clipper is aimed at Under 4's it needs to cover a variety of ages and leaps, therefore it features 3 different levels all with different interaction needed. For babies there is 'Auto Control' this allows the App to have all control and will automatically play. Next, for when your babies start to become more vocal there is 'Sound Control,' this is when Timmy Tickle will react to any noise in which is made encouraging your child to interact. Finally, for when your child knows more words there is 'Voice Control,' which allows the user to match the word on screen. When we were at the Baby Show we had the opportunity to try the Nipper Clipper out on Jack, and have since continued to use it at home. At the showing Jack was very occupied by the App, and although a little wriggly it was still possible to do. I think he was wriggly due to being in a strange environment. Since I have been cutting them at home we can quickly do this and Jack is easily amused by the App. Below I have included the video from Stylfile showing just how good the App is and also how simple it is to use the Nipper Clipper. 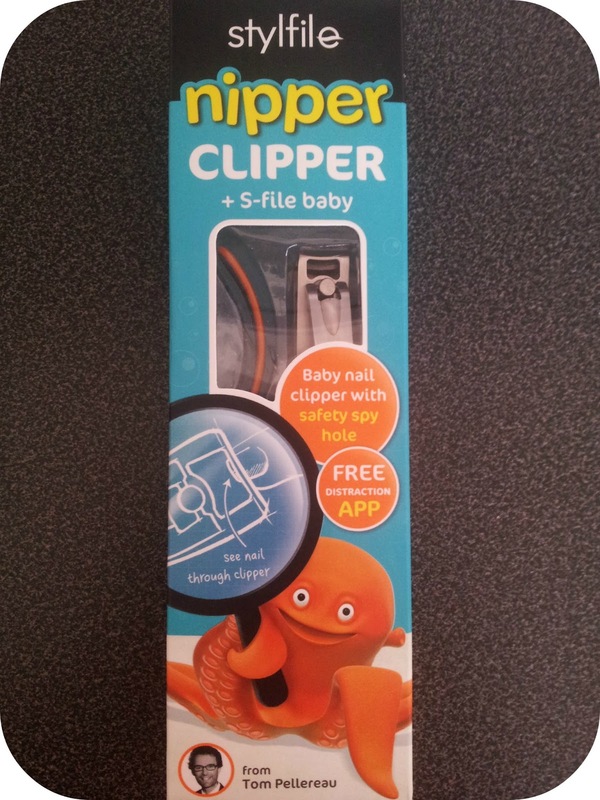 The Nipper Clipper is available to purchase from Sainsbury's, Amazon and Stylfile. A plastic feeding bib that stays fastened throughout them eating. A microwave that could cool things down instead of warm them up! an app to bring back the seasons! Colourful cuffs that fit on to childrens clothes for children with autism etc. My little boy bites holes in his sleeves and all i can seem to find is sensory items to fit around his neck or hold. Tough question!! A smell free nappy?! That's a tough question because I would be a millionaire if I could think of something. Maybe some kind of dirt repellent that can be squirted on baby clothes to prevent general muckiness. A one piece shower cubicle so that there was no grout to go black with mould! clothing that turns waterproof when it rains. An app that links your supermarket receipt to your fridge and freezer and can recommend recipes from the contents and remind you when stock is low! a self housework tool! something that does all the housework so i dont have tooooo! Robot housekeeper. I think I'm about 100 years early for that though! nail polish that dried instantly! a device that makes hair washing easier with an anti hair wash toddler. Something that gives more time in the day! a drier that you could step into straight from the shower & ten seconds later walk out completely dry including your hair! A supersonic cleaner for baby led weaning meal times! A boat that does not bob up and down in water to prevent sea sickness. a buggy with an umbrella for parent attached, impossible pushing a buggy holding my 3 year olds hand and trying to hold an umbrella! A burping machine that achieves instant results! Something that can get the tv remote/phone for you when you have a sleeping baby on your knee. A cling film dispenser that works - they drive me crazy!! !